Carmel and Clive have been running Cumberland House Gatwick B&B since they took over the business in 2005. They celebrated their B&B's 10th anniversary at the end of March this year, sharing a special anniversary afternoon tea with some surprised guests! Based on the outskirts of the small town of Horley in Surrey, just minutes from Gatwick airport, Cumberland House Gatwick offers 'adults only' accommodation and an award-winning breakfast (voted as UK's Best B&B Breakfast 2015). The B&B aims to be a peaceful respite or 'layover' location, for guests heading out or arriving into Gatwick Airport all year round. "We offer a free airport shuttle service so the alarm can be set for anytime between 3am and 6am. My partner Clive is a former postman so at least he's used to the early starts!" "Because around 75% of our bookings are repeat business, these are now totally commission-free. These bookings are coming directly through our website's freetobook widget or we are handling the calls and emails. 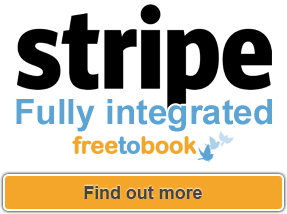 We use all of the freetobook templates which cuts down on our administration." 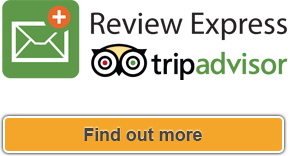 "We have been members of the Gatwick Guest House Association since 2005 and recently recommended freetobook's TOGETHER booking system. All of the 29 members are now quite excited as we can see the steady stream of online bookings coming through the freetobook powered website." While in the process of an extensive renovation of their eight double and twin bedrooms last year, Carmel and Clive decided to move away from providing family friendly accommodation to focus on creating a more relaxing space for their travel-weary adult guests. Offering king size beds, luxury shower rooms, a sofa or armchairs to relax in has, in fact, proved very successful and occupancy levels are up on previous years. 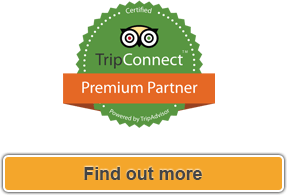 "Thank You Freetobook for all the hard work you have put into your reservations system. You Are The Best!! " "Switching over to using freetobook around one year ago has "totally transformed" Cumberland House Bed and Breakfast's business and profit margins."